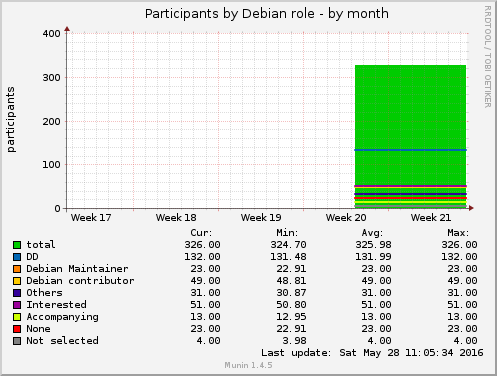 DD dd gauge Debian Project Member (all DDs). Debian Maintainer dm gauge Debian Maintainer. 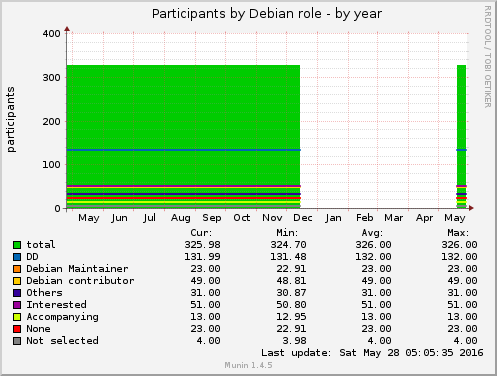 Debian contributor contrib gauge Debian contributor (including artist, translator, etc.). 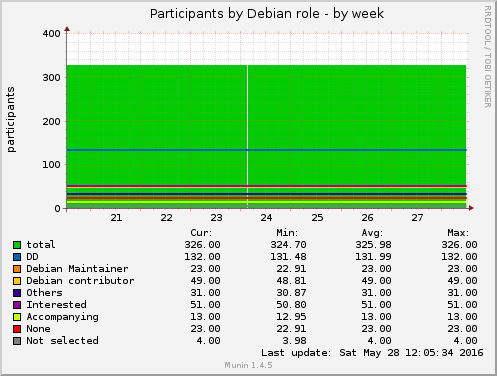 Others other gauge Otherwise involved in Debian. Interested inter gauge Not yet involved but interested. Accompanying accomp gauge Accompanying a Debian participant.